What is the secret of the HTC Desire's power? Ever since the T3 award-winning HTC Hero waltzed into our lives with its ultra-sleek design, sumptuous UI and Google's mobile OS, the Taiwanese mobile manufacturer had set the benchmark for making all-round impressive Android phones. A year on and those cutting-edge minds at HTC have served up a smartphone many (including a number of the T3 team) argue is better than the iPhone. 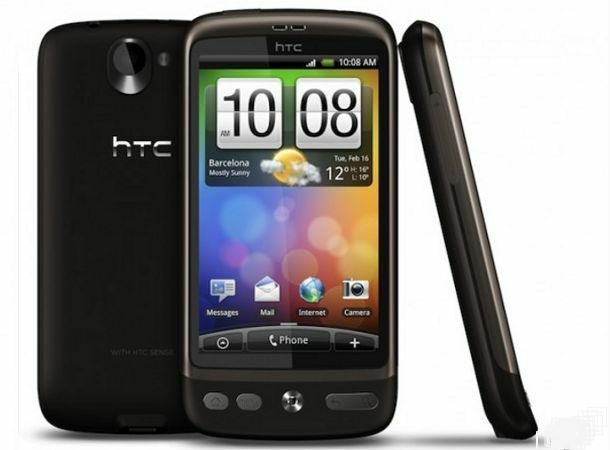 So, if the iPhone 4 has failed to get the juices flowing, and you yearn for something a little different to the Apple smartphone, look no further than the HTC Desire. The 1GHz Snapdragon processor lives up to its potential, making every action fast and judder-free; every transition smooth. The HTC Sense user interface adds extra gloss to Android, with more home screens, widgets and simplified navigation. The HTC Desire is capable of playing Flash video, meaning you can view any treat from YouTube. Browsing the web is speedy and the mix of Flash and 3.7-inch screen means websites render well. The five-megapixel camera is the best yet from HTC, capturing reasonably sharp images. It throws in a decent LED flash too. The Desire features excellent video capture at 800x480 pixels and a superb screen to view it on. The bundled 4GB microSD provides adequate storage. Facebook is integrated with HTC Sense, meaning you can sync your Facebook buddies with their phone book entries, giving a very easy way to check their status updates. Push email over Exchange as well as Gmail and other webmail accounts is supported. You'll never be out of touch again. The Desire is better equipped and cheaper than the iPhone 3GS or Nexus One, whether bought SIM-free or on a contract. The OLED serves up vivid colours, helps make the Desire a little slimmer and may save battery. It suffers a tad outdoors, though.